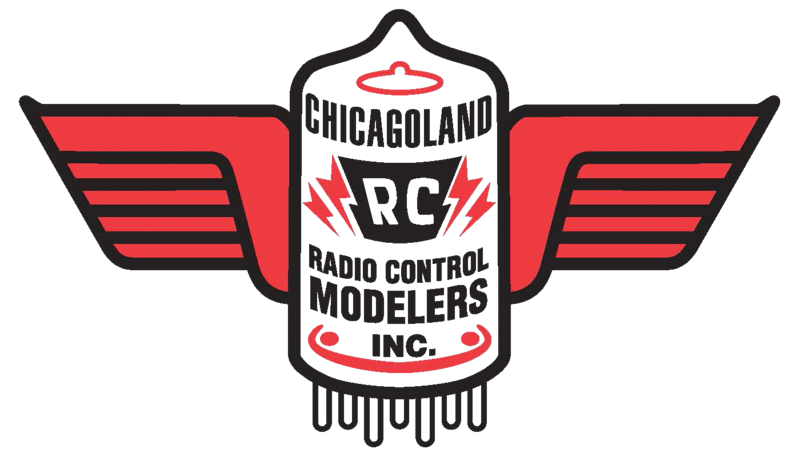 CHICAGOLAND RADIO CONTROL MODELERS INC.
General: This club has been formed to promote radio controlled model airplane flying for the enjoyment and recreation of it’s members. It is a non-profit organization and all dues and monies received will be used to maintain a flying site or to promote club activities. Officers of the club corporation shall consist of a President, Vice President, Secretary and Treasurer, who are elected for one year terms which start on December 1st. Officers may serve for consecutive terms in the same office. Any presiding officer may volunteer to continue in their office by requesting that their name be placed in nomination. All officers must be 21 years of age, or older. One year’s membership is required before a member may hold office. Officers will be elected by ballots submitted on, or before, the November meeting, and election results will be made known to the members at that meeting. An officer must be elected by a majority vote. The President shall preside over all meetings and conduct same in a reasonable parliamentary manner. It shall be his responsibility to monitor all financial and other business to assure their correct handling. The Vice President shall assume the duties of the President in his absence and shall guide and assist in all activities and report to the President and the membership. The Secretary shall record the minutes of all meetings and submit them for membership approval at each following meeting. He shall be custodian of all records other than fiscal, and will notify members in the case of special meetings. The Treasurer shall be responsible for fiscal collections and dispersals as they are approved by the membership or Board of Directors. He shall maintain records of these transactions and will maintain a bank account in the club name and make provision for transfer of same to the succeeding Treasurer. All officers and directors are given free club dues during the years they serve. The club will have a Board of Directors consisting of the incumbent officers and the officers of the preceding year. The Board’s duties shall be to establish and advise the Membership and Rules Committees and to present constructive suggestions to the membership. The Board of Directors shall consist of eight members. If the incumbent officers and officers of the preceding year do not make up eight members, due to officers serving consecutive terms in office, or due to loss of members for any reason, the then vacant seats on the Board shall be appointed by the President and approved by a simple majority of the then serving Board of Directors. Members so selected will serve the balance of the current one-year term. The Board of Directors shall not conduct official business without a quorum of five (5) current Directors present. All new members must sign release form. Dues are to be paid at the year’s first meeting of the calendar year or within a grace period which will extend to the third meeting of the calendar year. Delinquent members may be reinstated by paying the current penalty fee. Membership fees will be determined by the membership vote. Junior Membership – Individual under 18 years of age and shall be free of any membership dues. Honorary Membership – Voted by the Board and subject to certain restrictions. Any member, whose conduct is considered to warrant it, by means of frequent rules infractions and unsportsmanlike conduct, may be expelled by a unanimous vote of the Board of Directors. Expulsion action must be initiated by a petition signed by a minimum of five (5) members. All members shall be responsible for payment of membership approved assessments. All members shall be responsible for personal and property damage caused by themselves and shall assume said responsibility before resumption of flying. All dues paying members, in good standing, are eligible to vote. All voting issues in regard to the By-laws and general structure of the club must be passed by a two-thirds majority vote of the members attending the meeting. All voting issues in regards to the everyday running of the club and current activities require a simple majority of the members attending the meeting. Additions to, or revisions of, the By-laws are subject to a majority vote of the Board of Directors before being submitted to the membership for consideration and subsequent vote. Members in disagreement with the Board action may, by means of a petition bearing the signatures of no fewer than five (5) members, bring their grievance before the membership for open discussion. Club operating expenses will be paid from the treasury, specifically assigned funds or by special assessment funds. Normal club operating expenses (not to exceed $100 each month) may be authorized by means of approval of three of the incumbent officers. Dues and assessment amounts will be formulated by the Board of Directors prior to the first meeting of the fiscal year and will be presented for the approval of the membership at the first meeting of the fiscal year. The Board of Directors will submit a yearly written budget to the membership for approval by the fourth meeting of the club’s fiscal year. No vehicles are to be driven or parked anywhere other than on paved roads and parking areas. Members shall be responsible for keeping the area free of trash and debris. Courtesy towards all participants and all spectators is demanded of all members. No taking off in the taxi area. THE CLUB WILL INCORPORATE THE VOLUNTARY SAFETY STANDARDS SUGGESTED BY THE AMA. All AMA and FCC regulations will be observed. Transmitter identification shall be used by all flyers, which shall consist of a visible channel identification number attached to your transmitter. All transmitters, when not in use, shall be placed on the transmitter impound stand. To remove a transmitter from the impound stand you must first obtain the numbered clip matching your transmitter channel. In order to fly you must also obtain a yellow flight clip (this limits the number of flyers to 5 maximum). Either, or both of these, clips should be affixed to your transmitter antenna. Flights shall be conducted only from the pilot station blocks located behind the safety fence on the North side of the field. All mid-field operations, other than retrieval of disabled aircraft, must be conducted by the flyer with a second person acting as “lookout” for other aircraft and will be limited to landings and takeoffs. Right-of-Way will be surrendered to all manned aircraft. A landing aircraft has the right-of-way at all times except aircraft in emergency condition. Flying over spectator and parking areas is strictly prohibited. Be alert at all times, especially in regard to children and spectators. Equipment testing, requiring no more than an average flight time, may be performed in lieu of flying time. Testing requiring more time will be conducted no less than five (5) miles from the site. Engine testing or break-in at less than 100 paces from the landing area is prohibited. Flying activity may be stopped for field maintenance. All people not flying, including spectators, and all planes and equipment must stay behind the pit area line. Helicopter flyers will follow the same rules as fixed wing flyers, and be allowed to fly from Pilot Station Blocks. They may also fly from assigned Helicopter Station Blocks on the west side of the Pit area. There will be no flying over the Pit area, walk path or U-Control field.